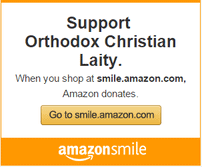 You are at:Home»Orthodox News»Help bring the Light of Christ to those in Prison! To share the love of Christ and His Church with those who are incarcerated and their families so that lives are transformed and God is glorified. We continue to pray for your continued strength as we pass the mid-point journey of Great and Holy Lent! 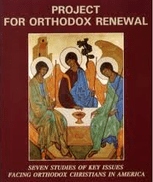 Orthodox Christian Prison Ministry (OCPM) clergy and lay volunteers continually face the difficult challenges involved with reaching those who are incarcerated in order to share Christ’s love. This holy season of Lent, though more trying, does, in fact, lead us to more souls being reached who are living in the darkness of jail or prison. Our ministry enables Christians to fulfill one of the most difficult commandments of our Lord, given to us in Matthew chapter 25, which is to visit Him in prison. Even if you wanted to, chances are the rules and regulations would be too burdensome for anyone to individually access the penitentiary system and provide sufficient ministry. By supporting OCPM, you allow us to empower volunteers with the training, tools, and guidance necessary to effectively reach those in prisons and jails. We, acting as one Church, are able to meet the challenge of fulfilling Christ’s commandment together.